Le Marais is one of Paris’ most unique, not to mention oldest neighborhoods. 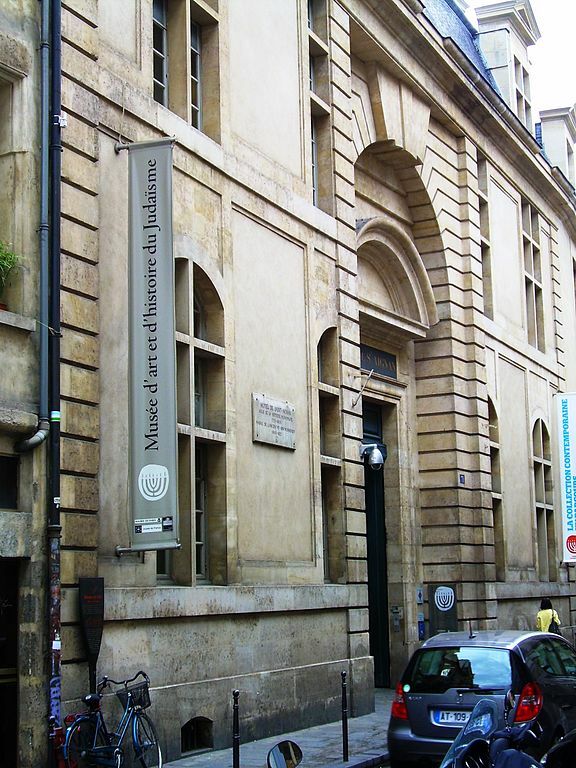 It also just happens to be the location of one of favorite walking tours here at Sight Seeker’s Delight: our Jewish History of Le Marais tour! We love discovering more about the Jewish faith, and then coming up with amazing walking tours to share what we’ve learned with all of you. So, you may not be surprised to know that we’re also working on our latest tours on the French Resistance as I type! There is so much to share about the history and lives of Jewish people in France and Paris that we had to create this new tour for you. You can learn more about our plans by clicking here. 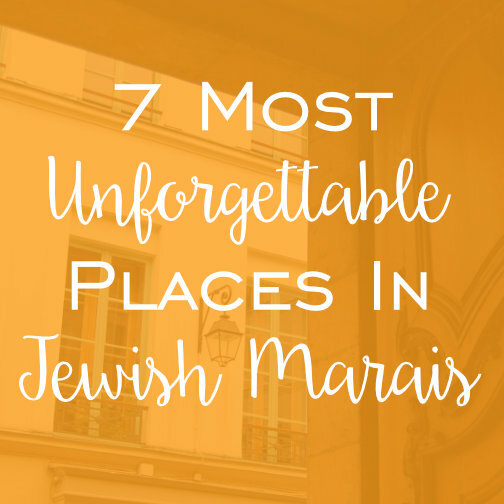 We cover a lot of ground on our tour, but I really wanted to round up the most unforgettable places in Jewish Marais for you here! The sites are listed in no particular order, so if you need help planning a day in the Marais, click here to learn more about our Travel Services that can help you plan your perfect Paris trip! Keep reading and save this post for the next time you come to Paris! 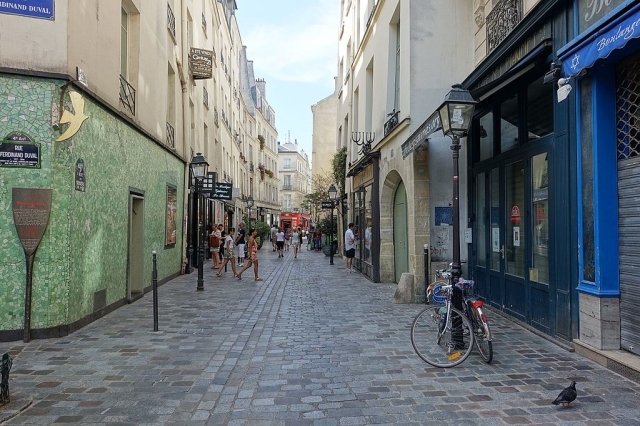 The rue des Rosiers is unofficially dubbed as the Pietzl, which all my Yiddish speakers will recognize means the “little place.” Jewish people have been living in the Marias since the end of the 12th century. The rue des Rosiers is the main street of the Jewish neighborhood in Le Marais. It is the home to many Jewish restaurants, cafes, and bakeries, and you should definitely come here on an empty stomach! Famous falafel restaurant, L’As du Fallafel should be your go-to for lunch in the neighborhood, it’s one of our absolute favorites. Don’t miss bakery Sasha Finkelsztajn for their old-fashioned treats. In addition to plenty of places to grab a bite, the rue des Rosiers is filled with Jewish bookstores, kosher food stores, and many of the shop signs are written in Hebrew. Welcome to Le Marais! 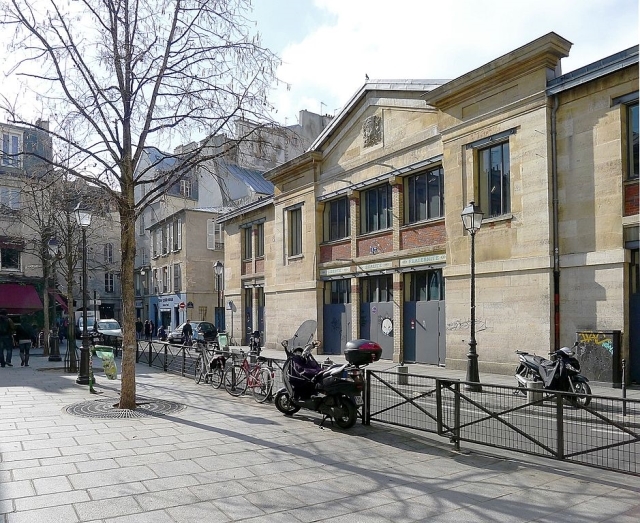 The synagogue located on the rue des Tournelles is one of the largest in Paris, coming in second only to one located on Rue de la Victoire in the 9th arrondissement. The synagogue isn’t very old: it was completed in the 19th century. The synagogue was dedicated to Ashkenazi ritual worship, and it’s attendees came from the Alsace Lorraine region of France, Poland, and Russia. The last Ashkenazi rabbi at the synagogue left in 1980. The architecture of the synagogue is very impressive, and the interior is beautiful as well. That’s thanks to a metal factory located in Normandy that was run with the help of Gustave Eiffel! Yup, that Eiffel! The second synagogue was designed by the famed French architect Hector Guimard! Mr. Guimard is the one responsible for all of those Art Nouveau style metro signs all around the city. 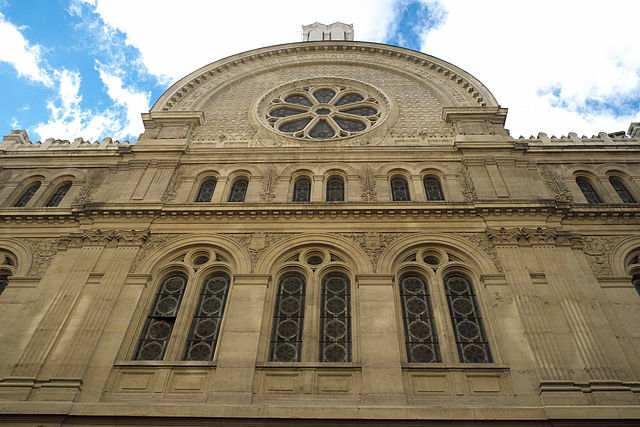 The synagogue was constructed in 1913, and the Art Nouveau style is definitely prominent! You can’t go inside the synagogue as it is a place of worship, but the you should walk by and soak up its beauty from the outside! 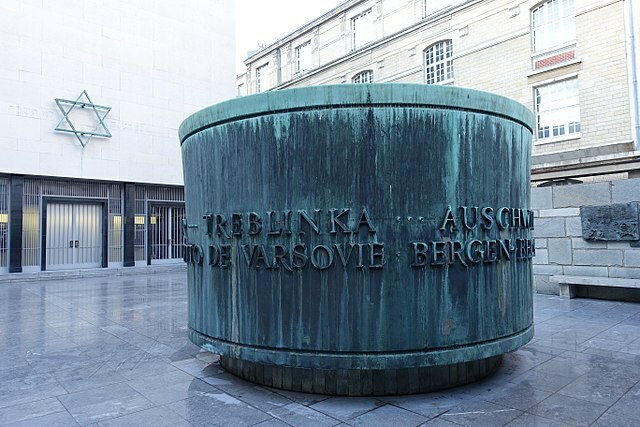 The Shoah Memorial is a free museum in the Marais centered around the Holocaust. As you can imagine, it is a quite moving place, and it is a must do if you are in Paris. The museum features a Wall of Names, with a list of the 76,000 French Jews who were deported and killed by the Nazis. 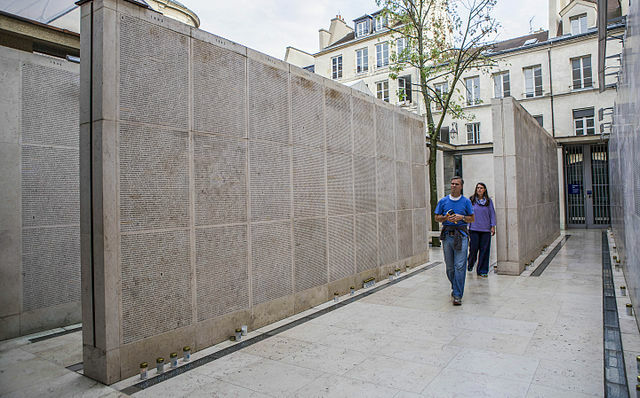 There is also a memorial crypt, a number of exhibit rooms, and the Wall of the Righteous, dedicated to non-Jewish people who helped in the French Resistance. The wall currently includes 3,300 names. The Memorial of the Unknown Jewish Martyr is located just outside the Shoah memorial. It is in honor of the 6 million Jews that were murdered by the Nazis. The memorial is actually how the larger Shoah Memorial got its beginnings! Not only is the rue des Hospitalières-St.-Gervais a very quaint street and deserves to be strolled down anyways, there is something you should see at number 6. 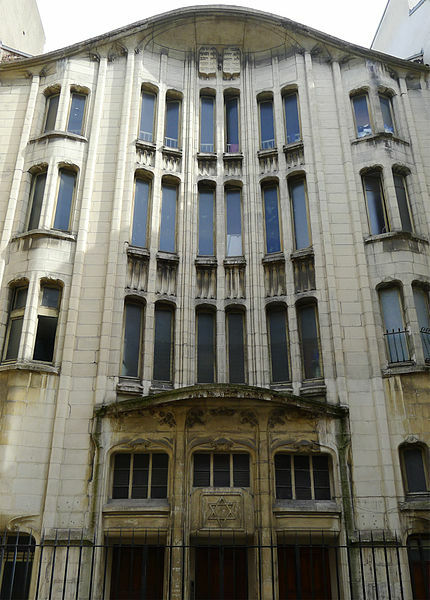 6 rue des Hospitalières-St.-Gervais is a Jewish boys school with an important plaque on the outside. There were 165 boys taken from this school and sent to Auschwitz, despite the valiant efforts of the headmaster at the time. The plaque outside serves as a memorial to the lives that were lost. This museum maps out the development of the history of culture of the Jewish community! It concentrates on the development in France, but also touches on other communities in Europe and North Africa. There are art objects, manuscripts, textile, and documents, including the archives of the famous Dreyfus affair of the late 19th and early 20th centuries. Artwork from artists such as Chagall and Modigliani are also present in the museum! I hope you’ve enjoyed this brief list of some unforgettable places in Jewish Marais! To learn much, much more, you’ll have to sign up for our Jewish History of Le Marais walking tour! Have I missed anything? Let me know in the comments below! This entry was posted in Museums, Outdoor, Paris Activities and tagged history, Jewish, marais, memorial, Paris, shoah. Bookmark the permalink.